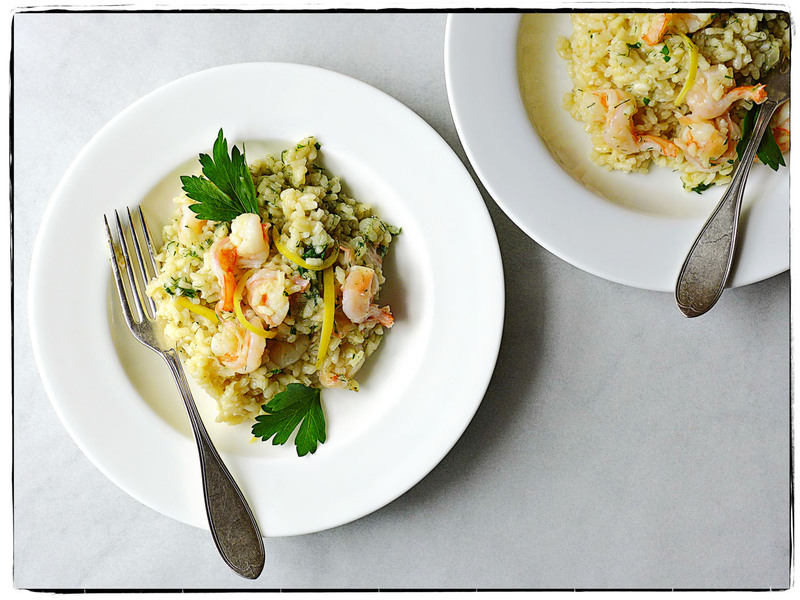 Today’s lunch is shrimp rice, prepared risotto-style. The secret to this simple dish is to make a rich broth: onions, carrots, fresh fennel, parsley, shrimp shells, white wine, and water simmered over low heat then strained. We used bomba rice (because we had it), but any medium grain rice like arborio, carnaroli, or vialone nano will do. A good way to start the week. Let’s keep it going—tomorrow, arancini.